The Wi-Fi interface Mitsubishi Electric MAC557IFE allows you to manage your air conditioner directly from your smartphone, tablet or PC. Packaging: 1 piece (original). VAT included. NB: This product has been replaced by MAC-567IF-E.
MITSUBISHI ELECTRIC MAC-E-557IF Wi-Fi interface for internal drives series M/S/P. The interface Wi-Fi MAC 557IF It allows you to manage the climate control via Wi-Fi directly from your smartphone, tablet or from your PC. For the proper functioning requires an internet connection. In order to use the WiFi interface, just download the app on the official website of Mitsubishi Electric MELCloud. 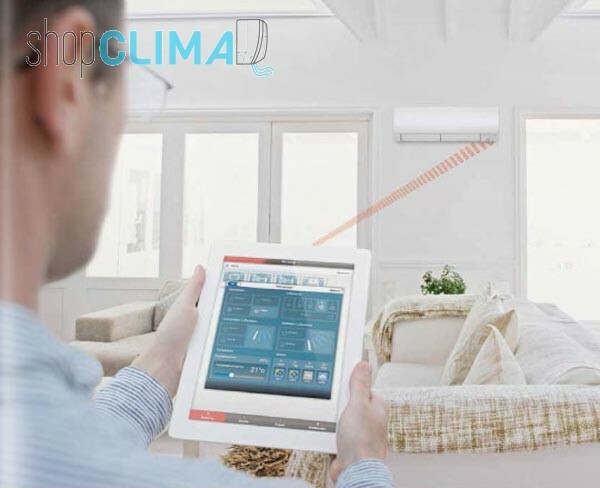 Leveraging the Cloud technology to transmit and receive information dall'l'interfaccia Wi-Fi MAC-E-557IF you can control the air conditioner from anywhere via PC, tablet or smartphone, in a really simple and intuitive, even if you are away from home or just relaxed on the couch. Once the application is installed on your phone, tablet or PC, you'll have full remote control of the unit, how to have the IR remote control Included in hand. You can also define a super user and users with the possibility partial. The application is also able to provide additional information such as local weather and details on technical support for the customer. To activate the service just to register the system, only possible once the interface is properly connected to the indoor unit. 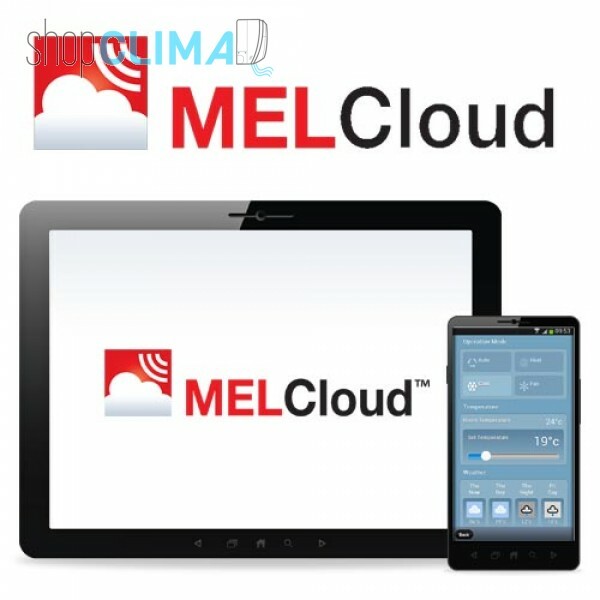 Then, to enable the remote control (Wi-Fi), simply register as a user on the site www.melcloud.com, and record the same way as the interface used. You can check this by using a specific app and install on your smartphone, tablet or PC. The operating systems supported by technology MelCloud Mitsubishi Electric are the following: Microsoft Windows 8, Apple iOS / OS X, Android, BlackBerry 10. The router must necessarily have a WPS button. The communication protocols are allowed WPA2-AES or WPA2 Mixed Mode. Important: a single interface is required for each indoor unit you want to manage through MelCloud. The Wi-Fi system from Mitsubishi Electric is compatible with the following models of indoor units. Our technicians are in fact equipped with refrigeration license, as required by law, and perform regular refresher courses directly from the parent companies; therefore they are familiar with all the characteristics of the products sold on Shopclima.it in order to provide professional, qualified and guaranteed technical support. Please feel free to contact us for more information or a customized quote. Elettrodomex Srl guarantees the good quality of the products for sale on Elettrodomex.it and it is responsible to the consumer for any lack of conformity existing at the time of delivery of the goods. Elettrodomex Srl undertakes, during the warranty period specified below, to repair (at its warehouse) or replace as soon as possible those parts or products that prove defective, provided that this does not depend on breakages or failures caused by incompetence or negligence of the customer, lack of maintenance, use outside the technical specifications or purposes of use, fortuitous events or major force. The warranty period is 24 months from the invoice date (12 months for professional buyers and users), therefore any lack of conformity must be reported within 24 months after the date of purchase (12 months for professional buyers and users). The time limit within which the defect of the product must be communicated from the moment it is manifested is 2 months. The warranty will apply to products that show conformity defects or faults not found or found at the time of purchase, provided they have been used correctly and in compliance with their destination and as required by any technical documents. The warranty will not be applied in case of negligence and carelessness from the customer, as well as mechanical or electronic changes not prescribed by the manufacturer. For any further information regarding our order guarantees, contact us. Free shipping on orders over € 250. Discover the service, write us. Share capital euro 60.000 f.p. Get timely information on new products, offers and promotions. ©Copyright 2016 Shopclima.it. All rights reserved.